Homeopathy works by stimulating the body’s own natural defence mechanism to promote health and to resist infection and susceptibility to disease. Although gentle, the results can be powerful and long lasting. Homeopathy improves health generally, rather than merely alleviating localized symptoms. It treats the whole individual, acting on the mental and emotional levels as well as the physical level, providing a balance in overall health and an increased sense of well-being and quality of life. When used correctly, homeopathy can be an extremely effective system of medicine, providing long-lasting relief from many acute and chronic conditions and illnesses. Homeopathic treatment offers a gentle and non-invasive approach to health, producing no toxic side effects, no dependency or addiction, and no withdrawal. Homeopathic medicines are surprisingly inexpensive to purchase, especially when compared to over-the-counter and prescription drugs. Homeopathy can be safely used at home or on the road to provide rapid relief for minor problems such as bruises, simple burns, sprains, insect bites, gastric upsets, etc. However more serious or long-lasting complaints should be treated by a qualified homeopath. Homeopathic medicines are tested only on healthy humans in order to determine the range of action of each remedy. Homeopathic medicines can be used independently or along with conventional drugs and other therapies (with the full knowledge of your other healthcare providers). It can often alleviate unpleasant side effects of conventional treatments (e.g., chemotherapy). Homeopathy has no adverse impact on the environment. There is not waste of energy or natural resources in the manufacturing process and no pollution of the water supply, oceans, or dump sites when used. In fact, homeopathy is the ultimate Green Medicine! 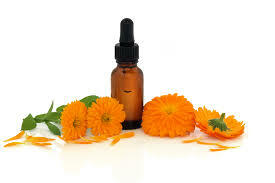 Homeopathy is the second most widely-used system of medicine in the world. It is available in most countries and is gaining in popularity as an alternative to conventional medicine. Reference: This article originally appeared in the Riva’s Remedies newsletter. Don’t allow your horse to push your buttons, raise your blood pressure; make you yell or cause you to lose your temper. Horses are fully aware of your emotional state at all times and some of them have complete mastery over your reactions. They’re in control; you’re out of control. Every time you become unglued they win and you lose. It’s a life lesson for everything you do – let them teach you well. If your horse is showing signs of impatience, un-cooperation and irritability seek out the underlying cause be it physical, emotional and/or spiritual. Too many times it’s blamed on attitude but attitude always has a reason. Horses, like all sentient beings need to be listened to – on all levels! All horses have a big play drive which motivates much of their behavior. If you don’t have a sense of humour you will not only misinterpret their actions but you will miss out on a lot of fun and adventure. Smile at everything they do whether it is desired behavior or not. Then play with them. Horses spend the majority of their time “hanging out” with the herd. Since they see you as a herd member (albeit with two legs, bare skin and weird body coverings) they rightfully expect you to you to be a “being”, not a “doing”. Spend quality time with them with no demands, no commands and no tasks. “To be” is a state of mind that horses clearly understand. Know that horses are divine beings but are also driven by biological instincts and urges which can cause them to be unkind and inconsiderate to their herd members at times, including you. The Animal Kingdom is not perfect. Surprise them by setting your intention to change their behaviour from negative to positive and then show them ways to bring out their goodness by raising their vibration…and yours. In a natural boarding environment we emulate this need to move by creating what we call a paddock paradise. By setting up multiple feed stations in your paddock, using small mesh hay nets, propagating other interesting and healthful items like loose rock salt, we encourage our horses to move all day. This keeps your horse in shape, happy, entertained, and feet healthy. Adding rocks or pea gravel to parts of the paddock is great too. Being a herd animal, they need companionship. They value family like we humans do, and the need to have other horses in contact with them all the time is part of their nature in order to groom, play, even fight, but more than that – to love. By eliminating high sugar commercial feeds, high sugar supplements, and high sugar grasses, you are eliminating one major cause of laminitis, the number two killer of domestic horses. Too much sugar saturates the hindgut, resulting in a bacterial imbalance that through a cascade of events starts to create a separation of the hoof from the horse. This is extremely painful for a horse and easily avoidable. Today horsefolk remain enticed by horses and we find ourselves still attempting to appreciate how this human/horse relationship came to be, and where the relationship is headed, much as mankind has since the first girl grabbed a mane and swung on a horse to become a partner with the flighty, powerful (but trainable and tamable) grazer of the plains. Equine behaviour is heavily influenced by socialization. Subsequently, behaviour is affected by the intensity and type of stabling and husbandry. Horses need to grow up to be horses as taught by horses to eventually lead behaviourally healthy lives. When grown, horses must be allowed to be horses with other horses to enhance willing partnerships with horsefolk. When stabled, natural must be re-created for the horse as we shall see. As we shall see, the last place a horse evolved to live is in a stall. When horses are stalled, we must re-create their constant need for friends, forage, and locomotion. Horses are a quiet species. They prefer calm, and learn most efficiently in tranquil, familiar settings. In emulating the horse, our interactions here will be communicatively soft and calm so as not to unnecessarily upset or excite our herd. Now if there is something valid to be concerned about, say a certain enlightenment, or concern about a welfare issue, or perhaps a training or stabling method that does not align with the horse’s perspective, then we appropriately share our views with the others. High chlorophyll foods such and blue green algae have a protective and cleansing effect on liver tissue. Blue green algae and sprouted greens are also high in natural antioxidants which aid the liver in detoxifying the body. Certain nutritional mushrooms such as Maitake, Poria, Reishi and Cordyceps aid the liver by helping to lower sugar levels in the blood. Green foods in combination with nutritional mushrooms and spouted greens support the liver and kidneys in their roles of removing toxins from the body. Exercise is also critical for helping the Liver to move Qi and to lower insulin levels in the blood. Stress is part of many horses’ lives but its damaging effects can be kept to a minimum with proper support for the digestive tract and liver. In addition to the stress lowering steps mentioned in last month’s newsletter you may also want to consider your horse’s temperament. Different type and temperament horses respond differently to stress and will need different support for best results. Check out Horse Harmony to help you determine your horse’s temperament type and look at our Feeding Guide to help select the best products for your horse. In considering taking horse into your life – it’s more about the physical and tangible (space, money, time) but your emotional, mental and spiritual capacity. Healing WITH horses (vs healing horses) is an area that is starting to pick up some steam in arena of public awareness. Why is this happening? Perhaps it’s the exploration of different areas to help heal emotional and spiritual (as well as physical) aspects of ailments or maybe it just simply is becoming more widespread. We have heard from Dr.Hamilton before – he had a feature on NBC news on how he invites medical students to his ranch to learn about experiential development and how it will benefit their journey in becoming doctors. I am thrilled to discover that he has a film on his work as well as featuring some of those who have benefited from his facilitation. Please visit this website for more about the film, “Playing with Magic”.